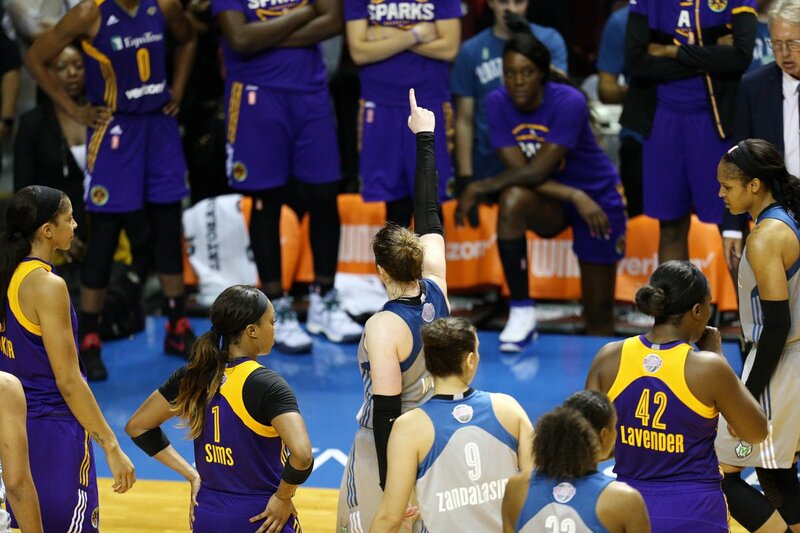 The 2017 WNBA Finals on ESPN, in which the Minnesota Lynx defeated the Los Angeles Sparks 3-2 to win the WNBA Championship, is the highest-rated since 2003. The five-game series averaged a 0.5 metered market rating, up 24 percent compared to 2016, based on metered market ratings from Nielsen. Wednesday’s Game 5 on ESPN was the highest-rated WNBA Finals game since 2003, delivering a 0.8 metered market rating, doubling last year’s Game 5 rating (0.4). The telecast peaked with a 1.1 rating from 10:45 – 11 p.m. ET. Game 5 on ESPN generated a 7.9 rating in the Minneapolis market. The remaining top five markets include Hartford (2.4), New Orleans (1.4), Louisville (1.4) and Birmingham (1.2). The telecast averaged a 0.9 in the Los Angeles market.